Did you know that making small improvements and keeping up the maintenance of your home can increase the list price when you are ready to sell? Home buyers like to see that the previous owners cared for the home and kept it up with the required maintenance. With spring around the corner and the days getting longer – now is a great time to finally get caught up with some of these common household chores. To help get you started, we gathered a list of spring home maintenance tips you can tackle before the spring season hits. Staying on top of this throughout the year can drastically help prolong the life of your unit and also help your HVAC run more efficiently. So, if you haven’t done it in a while – now is a good time to get it done. Have you gotten ready for the spring showers? This time of year, tends to have more rainfall than any other season. Did you know that for every one-inch of rainfall on a 1,000 sqft roof will collect 600 gallons of water. That is why so many homeowners across the U.S. have chosen to install rain barrels to take advantage of this great resource and use it for their landscaping. Prepping the surface correctly and repainting the areas can help protect the woods from being exposed to the outside elements and save it from being damaged or rotting. By repairing and or repainting these areas this spring you can also brighten these areas up by making them look new again. Repairing chipping and peeling paint also can help eliminate bank appraisal issues. Making sure all of the smoke detectors in your home are working is extremely important. Most recommend testing each smoke alarm at least once a month to make sure that they are working properly. It is also suggested that you replace the smoke alarms or replace the batteries every time change. Once in the spring and again in the fall. Replace or Clean Your Dryer Vent Known as one of the leading causes of fires. Replacing or cleaning your dryer vent is a great spring maintenance tip that every homeowner should not neglect. You would be surprised the amount of lint build up that can gather inside a dryer vent. 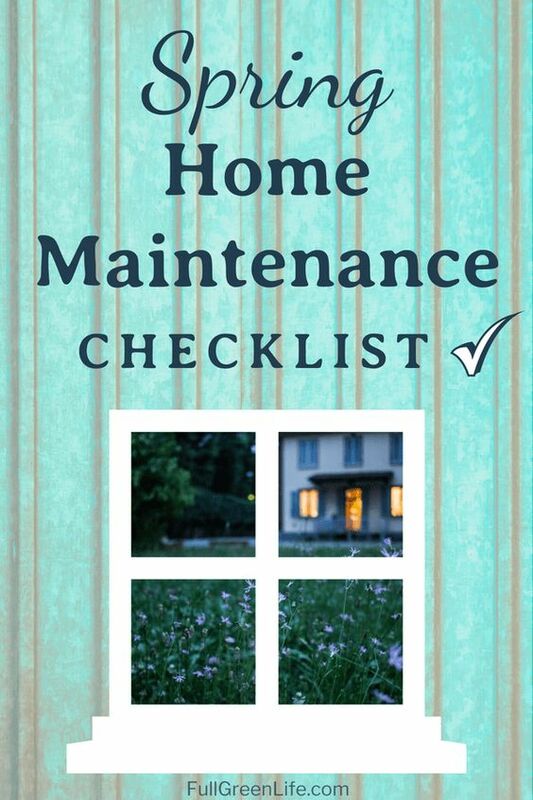 Don’t put off this home maintenance tip any longer. Sometimes as a homeowner, it may seem like there is always something to do around the house. By making a checklist of things to do and break it up over a few weekends to more easily get them done. Especially for any homeowner that is deciding on making the move in the coming months. Keep in mind that most active home buyers are looking for a home that is turn-key ready and not a home that has a lot of differed maintenance.